It is actually a cake of soap, and they come in various colors. 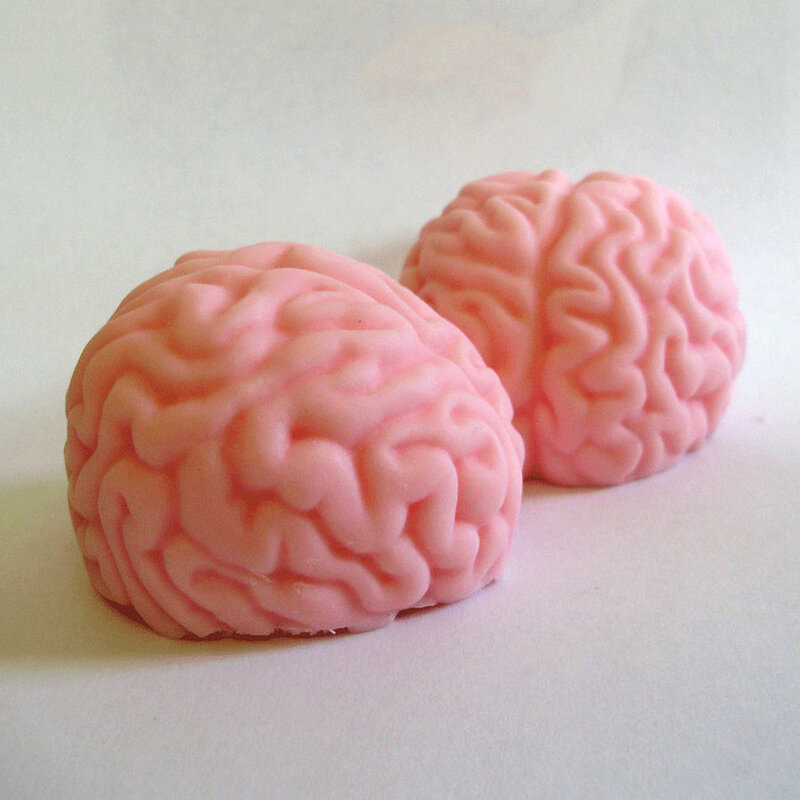 You want gross, try googling “brain jello mold”. I wonder how it compares to the consistency of the real thing – I suspect that it would be quite similar. Human brains are a very strange thing to dissect. I got a book and a kit for Learn Brain Surgery At Home! Has a half-brain mold. FTW – would look good in the bath next to some giant fake cockroaches or a shrunken head.